Tasted with Aby and JJ. Dusty, nuts and syrup. Fruity - apricots, spices - pepper and honey. Fruity, dusy, wax and syrup. Medium drying with mint and fruity. Later sweet candy. Spicy, oaky, elegant and sophisticated fruit bomb with a very rich flavors. Complex and elegant. Marzipan, walnut, honey, vanilla, apple, pear, orange peel, chamomile tea, oak. Creamy, oaky. Caramelized citruses, peach, plum. Big dose of honeyed walnut. Ginger and mint. 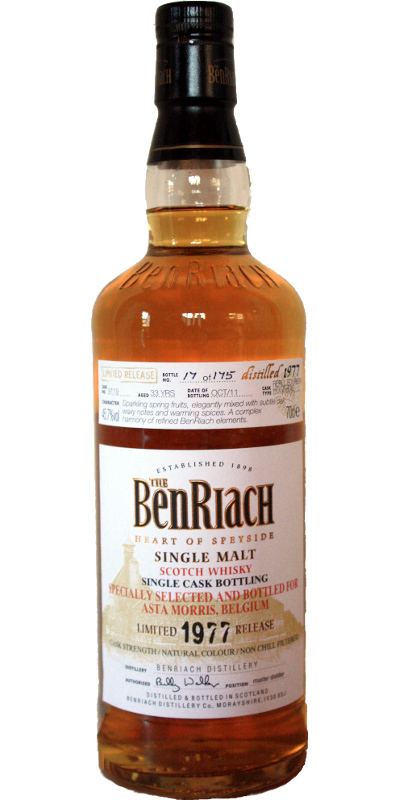 If you like sweet fruity whisky you will like this one, displays all the best parts of the Benriach profile. 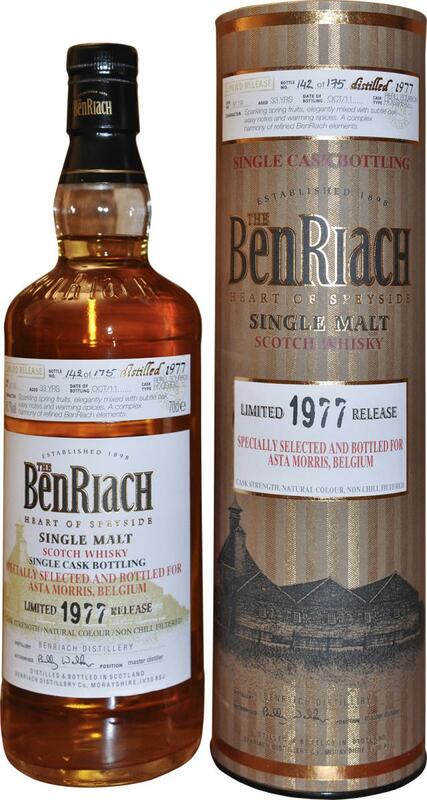 Quite floral & honeyed, with salted caramel , hints of orange peel, marzipan, vanilla and a little ginger. Orange, lemon, honey, white fruits, sweet desert wine and light sponge cake with raspberry jam. Approaching medium with a very pleasant sweetness.